So, I jumped on the Zig Clean Color Real Brush Marker bandwagon a few weeks ago. They are seriously amazing… The blend is so super smooth. I initially bought them because I wanted the pale, almost washed out colors, but the more I played with them, the more the bright colors attracted my attention. This card is an homage to pink and purple, and I couldn’t love it more. I started out with Ellen Hutson’s Mondo Magnolia stamp set. It’s got that gigantic flower that is just begging to watercolored. I stamped it three times with Antique Linen Distress Ink that had been stamped off once. I then colored it with a Deep Pink zig marker, and I used the Purple zig marker to add shading. Gold Wink of Stella was used for the centers to add some sparkle. I used Deep Violet for the background. I love that I made this panel with only three markers… These markers rock so much. 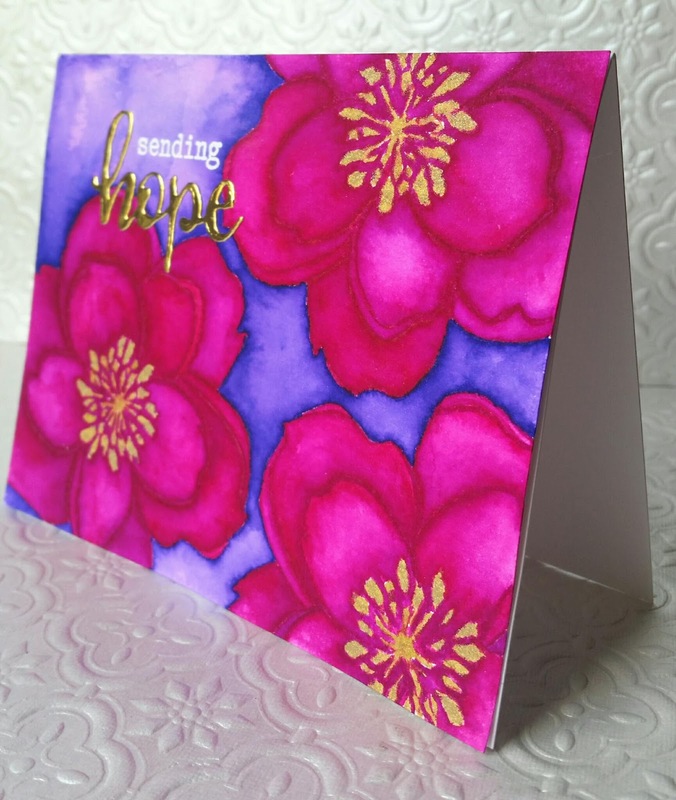 I die cut “hope” from the Winnie and Walter big, bold, and comfort set in gold mirror card stock from Bazzill, then white heat embossed a “sending” from the coordinating stamp set. 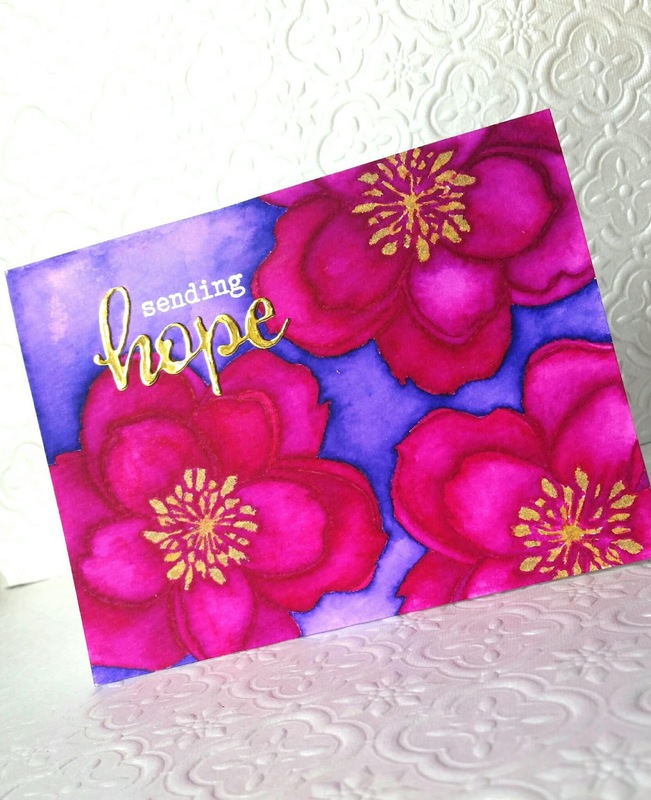 As I look at it now, it might be a good encouragement card for a friend with breast cancer. I wish you could do a video of you creating one of your cards. This is very cool. The best part about reading your blogs is the fact that you truly enjoy doing paper crafting and it makes you happy. A good place to be.